There is no one better positioned to live their best life than a creative. In my keynotes and workshops, I prove to creatives that our vision and unique set of talents can be applied to every area of our life with amazing results. Graduating from a state college with a BA in theater & philosophy, the most I would allow myself to hope for was a job with insurance without having to work at a bank. I had no idea that was just perfect for Comedy Central, during its heyday of The Daily Show and Chappelle’s Show. When I decided to leave the best job ever at 33 to travel the world, I would not have expected to come back a year later to even bigger and better opportunities, including an Emmy® nomination. The skills I cultivated as a creative-the ability to articulate a big idea, identify the action steps required to achieve it, and the guts to take action- could be applied to big moments of career and life change with great results. I’m committed to sharing this discovery with as many creatives as possible. No matter where I meet them on the road- during college before their professional life begins, or at midlife when they’re feeling stuck- they’ll walk away from our time together feeling more motivated than ever before to strive for a life of professional and personal fulfillment. As a college student determined to make a career out of their creativity, it’s hard to know where to start and scary to think about where you might end up. In this inspiring talk, Sarah takes you through her journey as a former theater major to an Emmy® nominated Creative Director. During college, Sarah struggled to figure out what she wanted other than “I just wanna make stuff with my friends!” and eventually succeeded in building a career that was all about making stuff with her friends at places like Comedy Central, Nickelodeon, BET and SYFY. Sarah shows creative college students how to identify their most valuable talents and serve them up to build a life filled with creative fulfillment and personal success. Professional voiceover work is the Holy Grail of income streams for aspiring actors and singers. Sarah brings over 15 years of experience casting and working with voiceover artists for television networks, to give performance students a 101 on this unique creative field. Taking them through the basics of the job, showing examples of her own work with a variety of VO talent and finally directing individual students through a VO session in the same way she would in a professional setting-Sarah provides an invaluable glimpse into this niche skill with tons of opportunity. This is a great companion to the Professionally Creative keynote for music and theater students. The older we get, the easier it is for our dreams to take a back seat to our professional ambitions. We just keep driving and driving until somewhere in our 40s, we slam on the brakes, realizing “this is NOT where I wanted to be.” In a motivating talk for those feeling stuck in mid-life, Sarah takes you from her crossroads moment at 33-realizing after 10 years in Comedy Central, she wanted more - to her decision to leave New York City and head to New Zealand for a year of travel through the South Pacific. As the self-described “Oldest Living Backpacker in History”, Sarah discovered that her skills as a creative producer not only allowed her to live a year of adventure, she was able to return to a fulfilling career with even greater potential. In this talk, Sarah gives established professional creatives permission to dream again and the confidence to know they’re more equipped than ever to make them a reality. Vision boards are all well and good. But if you don’t know how to put your dream into action, it will never come true. Actions, separate from a defined goal or strategy, are nothing but a waste of time and energy. In this workshop, Sarah shows participants how to fuse vision with action to build a plan to reach your goals with the same methods she’s used to produce high-stakes creative campaigns for television networks. 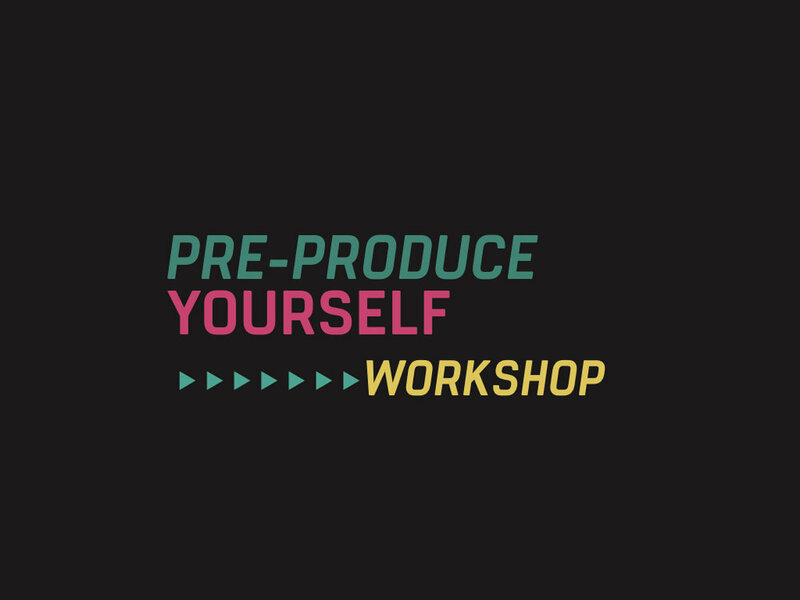 “Pre-produce Yourself” is all about learning how to articulate your vision with clarity and great detail, refining the idea to work within your current life parameters, building a plan with a set deadline and then executing that plan with a “no matter what” commitment. Participants will be taken through concrete “pre-production” exercises designed to get their dreams out on paper and into a planner with a deadline to deliver the life they’ve always wanted for themselves. 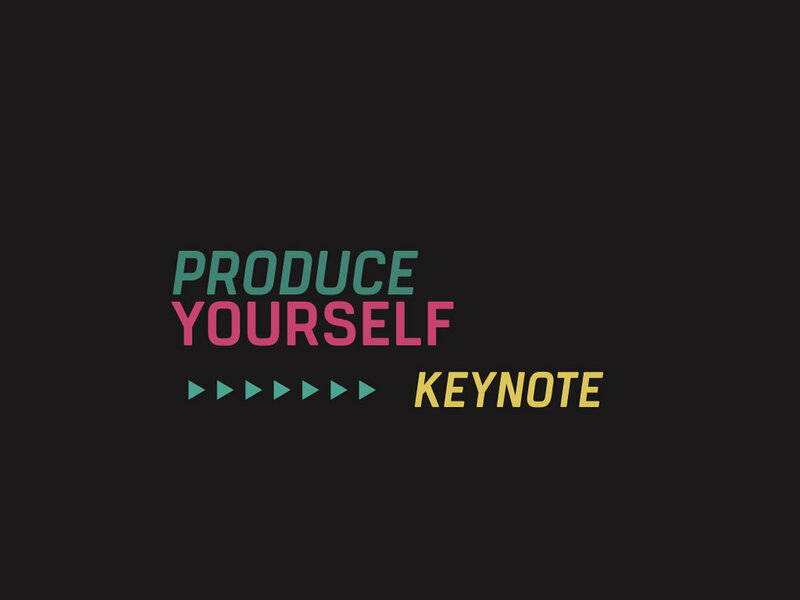 As a companion to the “Produce Yourself” keynote, participants can start taking action right away!